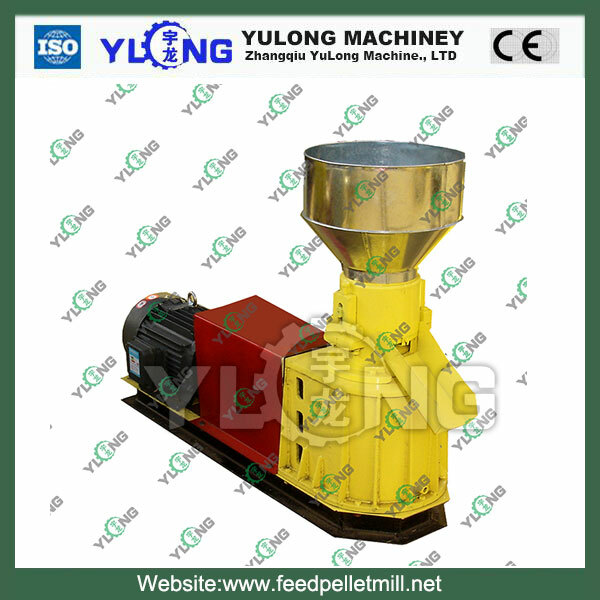 Small Feed Pellet Mill can make fodder for poultry, Fish, rabbit, bird, and other animal feeding stuff processing .Flat die pellet mill is designed for households and small farms in rural farming, rabbit warren. It can process meal, straw particles and organic fertilizer, inorganic fertilizer into granules. Using powder feed directly, without adding water, granulation can be carried out. The moisture of pellets is smaller and more conducive for storage. The product can improve digestion and absorption of nutrients. The process of the production can kill \ the pathogenic microorganisms and parasites which is suitable for feeding rabbit, fish, duck and experimental animals. The dies can be adjusted for granulation of different materials and get the best results.